How Does Coconut Oil Help Prevent Tooth Decay? Written by Dr. Nayansi Jha and medically reviewed by iCliniq medical review team. Dental caries or tooth decay is a very common problem for adults and children these days. Our food habits are such that they include a wide variety of junk food and super-rich carbohydrates. Coconut oil has been in use since ancient times for a wide variety of reasons, primarily for good hair growth. 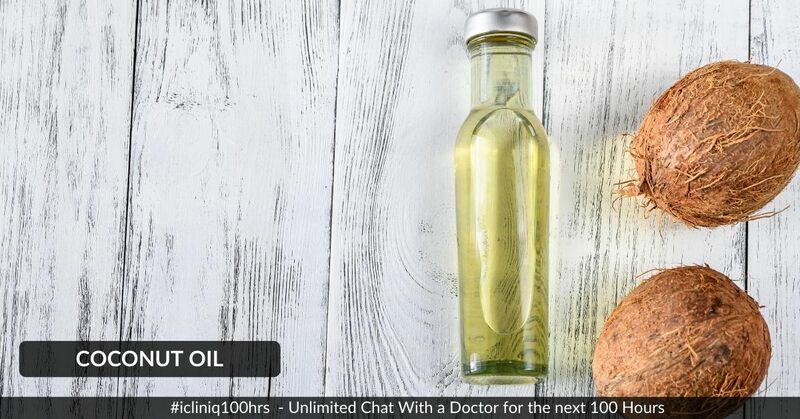 However, this oil has its use in dental care also. Traditionally referred to as "oil pulling", the technique requires you to swish the oil inside your mouth for a few minutes and spit it out when it turns milky white. The longer you push and pull the oil in the mouth, the more microbes are released free. Coconut oil has an effect on bacteria when used as a mouth rinse or as a natural toothpaste. Streptococcus bacteria, a common inhabitant of the human mouth, is responsible for most of the damage and decay of teeth. Researchers have conducted a series of tests that support the antibacterial qualities of coconut oil against strains of Streptococci. How to Prevent Bad Breath or Halitosis? My lower teeth gum color varies. Please clarify if I have gingivitis. Two of my wisdom teeth are impacted. Is it better to remove? Benefits of coconut oil include combating the following dental problems. Reduces gingivitis (swelling of gums). Makes it easier to use floss between the teeth for removal of food particles. Most microorganisms inhabiting the mouth consist of a single cell. These cells are covered with a lipid (fat) layer which when comes into contact with oil in the mouth; adheres to it. So, microorganisms get washed away easily. Swish a teaspoonful of oil for 10 to 20 minutes and spit it when it turns milky white. Do not swallow. You can start with small amounts for a few minutes (around 5 minutes) initially and then increase the time gradually. There are no side effects. Do you have a question on Gingivitis or Tooth Decay? Can halitosis be caused due to gastritis? My gums are itchy after using mouthwash. Why? Kindly advise a home remedy for tooth decay during pregnancy?